Hello, it's been a while since i post my last inDesign template in this lovely blog. Today, i'll try to continue posting my another InDesign templates that still have not been uploaded. 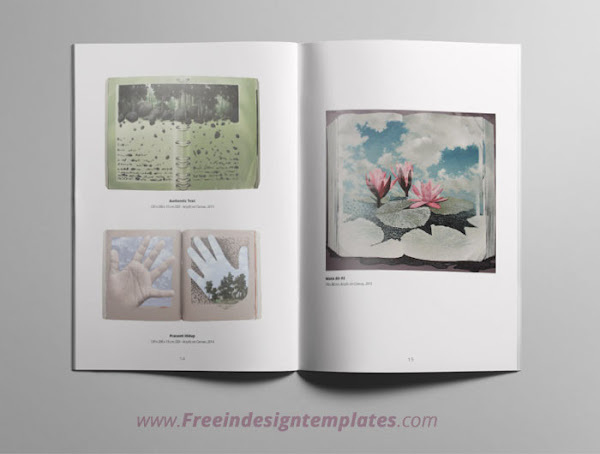 In this post, i'll give you a Catalog template. This catalog template was created when i worked on painting exhibition project a few months ago. 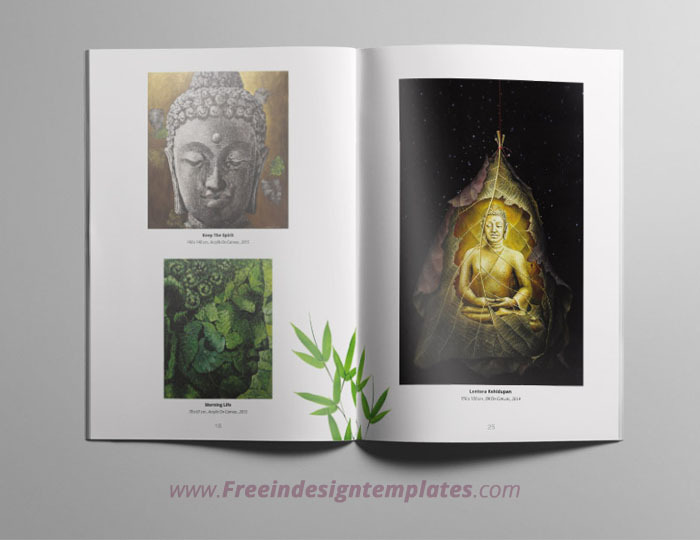 This InDesign Catalog Template is so simple, it suitable for paintings, fine art, or art exhibition catalog, but you also can use it for another product such as cosmetic, electronic, book, etc. 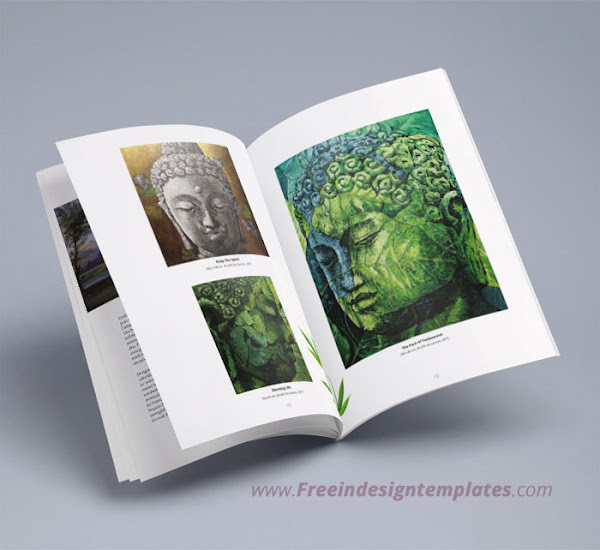 INDD files (CS5 or higher version), IDML (for CS4), and Link (just leaf ornament), The Font files and image are not include in download package, most of those are standart font, but if you don't have it in your PC, you can download it by your self.